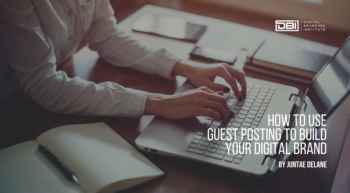 First impressions are important when building your digital brand. If you create a great headshot it will lift your credibility and establish a positive brand impression as you continue to engage with new customers and clients. Your target audience wants to connect with real people, not logos. If you are looking to enhance your digital brand, then it’s time to step out from behind your brand and strike a pose. A great headshot will put a face to your name and is often used at the top of expert columns, with your bio information at the end of an article, or throughout larger feature stories. A great headshot captures attention and instantly elevates your brand. Although creating a great headshot may be a significant investment, it shows your audience that you are committed to your business. I suggest taking a selection of portrait and landscape shots as one can be used as your profile picture and the other as a cover photo on your social media profiles if you choose. If you expect to get your photo published in print magazines, most will require your images be at least 300 DPI (dots per inch) while online publications usually require smaller sized files. Always submit images in the size and format requested as it looks very unprofessional to have a low-resolution professional headshot in a publication. DBI TIP: If you’re unsure whether your images are in the correct format, check with your photographer or designer before sending them to the media. 1) Try wearing an outfit that is representative of your brand. If your main brand color is yellow, you may want to consider wearing that color for your shirt or perhaps an accent piece. If your brand has a lapel pin, be sure to include that as well. DBI TIP: Be sure to consider the fashion industry’s fluidity when taking photos. What’s in season now may not be later. Meaning, you might get more usage from your headshot if you don’t wear your floral print blazer. Before your photo shoot, create an inspiration file of photos to give to your photographer. This file will save time and heartache and ensure that you and the photographer are on the same page. Essentially, this inspiration file will ensure you get the look and feel you like. It is important to take candid shots in addition to the classic poses seen in most professional headshots. People want to feel an authentic connection and a great way to establish this feeling is with a candid headshot that captures you in your natural position. 4) The location is everything. Try shooting in your natural environment or choose a backdrop that matches your style. To create a great headshot, you should convey your personality during the photo shoot. I suggest having coffee or tea with the photographer to build a rapport with him or her. The chemistry developed will show on camera. Overall, to create a great headshot, an individual 0r professional must convey a personality that is aligned the brand. What do you think is more beneficial, a headshot or logo? Please comment below. I look forward to your answers. Social Shopping Is Coming to Instagram. 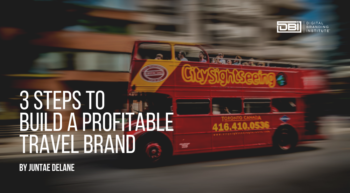 Is Your Brand Ready?